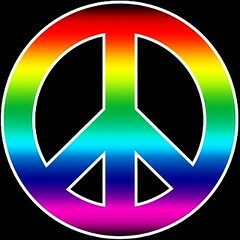 The Road to the Horizon: News: The Peace Symbol turns 50. Are we any closer to peace? News: The Peace Symbol turns 50. Are we any closer to peace? 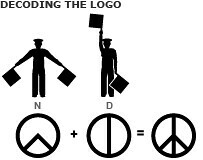 Gerald Holtom, a designer and former World War II conscientious objector from London, designed the peace symbol originally for the Direct Action Committee Against Nuclear War (DAC), arguing their aims would have greater impact if they were conveyed in a visual image. The "Ban the Bomb" symbol was born. Holtom used the letters from the semaphore - or flag-signalling - alphabet, super-imposing N (uclear) on D (isarmament) and placing them within a circle symbolising Earth. Holtom later explained that the design was "to mean a human being in despair" with arms outstretched downwards. Current wars and armed conflicts are still abound today: Iraq, Afghanistan, Chad, Sudan, Somalia, Ethiopia, Eritrea, Palestine, Nepal, Kashmir, Kurdistan. 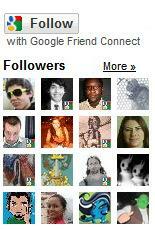 I wonder if in 50 years of peace movement, we have come any closer to peace?